Shark Diver : Shark Diving : Swimming With Sharks: What is it like to come face to face with a great white shark? What is it like to come face to face with a great white shark? Recently we had Tony Consiglio join us on a great white shark expedition to Guadalupe island. This is his report on XM sports, about his experience, coming face to face with a great white shark. A 50-square foot cage suspended me just below the surface of the crystal clear waters of the Pacific Ocean 140 miles off the coast of Mexico. I had 200-feet of visibility all around me. I was on full alert. There was a school of several hundred mackerel that moved together as if controlled by a single brain. Families of fur seals would occasionally swim by to play. A couple of sea turtles even showed up. But none of those were the reason I had traveled to Isla Guadalupe. I was in search of something bigger. More elusive. Mysterious. I wanted to see a great white shark. I had never had any plans or desires to willingly put myself within arm’s reach of a great white. If having a window seat on the Universal Studios’ Jaws ride was as close as I’d ever get to one, I’d have been ok with that. After all, they’re ruthless man-eaters, and the only chance I’d have against one is if I had a bullet and it happened to be chomping on an oxygen tank. At least, that’s what television and movies wanted me to believe. So, while I had never had any dreams getting in the water with some of the ocean’s largest predators, when I had the opportunity to join Shark Diver on one of its excursions from San Diego in early October, I decided I had to go. The company’s slogan is “Safe and Sane Shark Diving,” which is much more welcoming than the “Don’t Go in the Water” of Jaws. And since there were no Sharknados in the forecast, any concerns I did have were quickly erased. Shark Diver CEO Martin Graf has been leading these trips to Isla Guadalupe for 13 years. He is a Swiss-born former professional cyclist who raced competitively for nearly two decades with some of the best athletes in the world. Now he makes his living by providing anyone the opportunity to connect with these animals that captivated him years ago. After taking up scuba diving following his retirement from racing, he made his first connection with a great white, and he has been captivated by them ever since. A shark named Shredder looked him in the eye and they bonded. Graf feels that these sharks remember him when they see each other multiple times, even if they hadn’t seen each other in five years. So if these sharks can form even a basic bond with a human, and if one named “Shredder” can look at a person and not make him shark food, how dangerous could it really be? “I think that the white sharks, or sharks in general, have the biggest disproportion of the perceived danger versus actual danger, and it’s because of the fact that they live in the ocean,” Graf says. “People are afraid of what they don’t know. 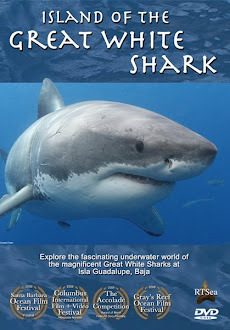 Graf has actually seen and helped identify about 150 sharks at Isla Guadalupe during his years going there. And he can name each one just by a description of its color pattern, size, and markings. He has spent enough time with these animals to make me fairly certain that I would be able to return to the mainland with all, or at least most, of my limbs. During the 25-hour trip out to the island, in between the visits by dolphins playing in the boat’s wake, Graf made me feel that I would become friends with the great whites from the moment I met them. Maybe I would see Chugey, who had just recovered from a terrible injury. Or Quetzalcoatl, who was seen earlier in the season for the first time in eight years. Or maybe Lucy, who is missing a piece of her tail, but still manages to survive. I was finding that I was already starting to look at the animals in a different way. My beliefs of them being aggressive and dangerous creatures were already being replaced by thoughts that they’d be more likely to join me for a game of poker. And, I wasn’t alone. There were 17 other people joining me on the trip from around the world. Along with several from the United States, there were three from England, two from Iceland, and another from Canada. Some had been on shark dives before. Others had not. But everyone couldn’t wait to get into the water. The first day of diving began before the sun came up. Chef Mark of the M/V Horizon cooked up a delicious breakfast (as he did for every meal) as us divers prepared for the day. We changed into our wetsuits while watching the sun rise on the open water of the Pacific, which, in itself, was worth the price of admission. At 8 a.m., the first groups of divers got into the cages. Floating in the water off the stern of the boat, the two cages hold 8-10 divers at a time. Each diver gets his or her own regulator so everyone can stay underwater, about five feet under the surface, and focus on spotting any nearby sharks. Diving shifts last an hour, with the next groups immediately replacing the divers who are finishing up. The process continues throughout the day, with only a half-hour break for lunch. I got into the cage for the first time during one of the morning shifts. I was one of several people on this trip who had never been scuba diving before, so, even though this technically wasn’t scuba diving, it was still going to be a foreign experience. In fact, I had never even worn a wetsuit. Putting it on the first time was a bit like fighting a life-sized rubber chicken, then trying to wear it. After eventually winning that battle, I felt like I had been shrink-wrapped, but I quickly adjusted. I waited for my other four cagemates to take their spots, then followed them into our submersible chamber. I was expecting a shock of cold ocean water as I took the plunge, but I was pleasantly surprised with how reasonably warm it actually was. Even adjusting to breathing through the regulator was fairly easy. It didn’t take me long to get settled in the cage and find a sort of routine. I’d stand and look out toward the open water for a couple minutes, then turn around and look back under the boat. Then I’d kneel for a while and look toward the bottom. I repeated the process for 60 minutes, with no luck. The crew members on deck chummed the water and repeatedly tossed bait bags, but the sharks didn’t seem particularly interested in coming to say hi to me. It was more of the same when I was in the cage in the afternoon, too. There was plenty of marine life to admire, but it was a great white I was looking for. The day wasn’t a total bust, though. I still did get to see my first ever shark. While in the galley doing some reading during an off shift, I heard a call of “White Shark!”. One of the crew members had spotted one swimming around the boat. I joined the rest of the passengers on board in rushing toward the railings and followed the pointing arms of those already watching it. It was not far off the starboard side and moving toward the cages just a few feet below the surface. I was hoping its dorsal fin would break the surface, just like in the movies, but it never did. Still, though, the water was plenty clear enough to get a good look at it from above the surface. It had an awe-inspiring and imposing presence. I followed it down the boat as it made its way toward the stern, then just in front of the cages, before it swam off into the blue. I couldn’t imagine what it would have been like to be in the cage at that moment. The faces on the divers as they came out of the water said it all. It was an experience of a lifetime.The incredible pictures they were able to get with their waterproof cameras looked like they belonged in National Geographic. I couldn’t wait for my own encounter. I would have loved to have continued diving into the late afternoon and early evening, but sunset comes early in the northeast cove of Isla Guadalupe. Mount Augusta, which reaches an elevation of 4,257 feet, blocks the sun shortly after 4:00 p.m., so visibility all but disappears. The pursuit would have to wait until morning. Mount Augusta serves as the backdrop in the northeast cove of Isla Guadalupe. Day two was very similar to day one. The weather was gorgeous. It was the perfect type of day to spend on a boat and dive for sharks. It just so happened I missed out on them again. As with the day before, there were a few that stopped by. I just wasn’t in the water at the time. With only a half day of diving left, my desire to see a shark in the water was only increasing. And that night, after a steak dinner, that need grew even more. Mauricio Hoyos, who knows as much about great whites as just about anyone, took a boat ride from his home on the island and came aboard for the night to give a brief lesson on great whites, as he often does on these excursions. Hoyos owns a Ph.D. in animal behavior and lives on Isla Guadalupe for three months a year. He has studied these sharks in this area for nearly 15 years and has gotten to observe their habits over long periods of time. “It is a beautiful animal,” Hoyos says. “And the thing is, most of the time, they are afraid of us. We are big animals, and with the bubbles they think ‘What is that?’ This is not an animal from this ecosystem. So in most of the cases it is very hard for me to get close to them. It’s not like in the movies like if you go to the water, they are going to attack you. No. They are very conscious. Hoyos gave a presentation about what he has discovered through his research. The truth is, there are so many more questions than answers about these creatures. Experts aren’t even entirely sure why great whites return to Isla Guadalupe year after year. The sharks travel between Hawaii and Baja, California every year, spending about three months at Isla Guadalupe in late summer/early fall. Theories for their annual visits range from it being a mating ground to a great source of food. There is an abundance of tuna and elephant seals, which are among the sharks’ favorite foods, in the area. Regardless of the reasons the great whites converge on the island, it makes for the best place in the world for humans to see them, because of the high population in the area (which Hoyos believes could be as many as 200) and the fact the water is so clear. Most of the humans on my trip had gotten their opportunity. I was still waiting for mine. On the morning of the day we headed back to the mainland, I wasn’t taking any chances. I woke up early to get in the cage as soon as it was in the water. I thought maybe my luck would change as the sun rose. I climbed back onto the boat thinking I would leave Mexico without doing what I had traveled thousands of miles to do. But I wasn’t giving up. We still had a few hours before we raised the anchor. When my next rotation came around, I was ready. After 10 minutes or so in the water, I turned around to look under the boat, and there it was. About 40 feet in front of me was a 14-foot shark. I held my breath as I watched it because I wasn’t going to miss any part of this moment. I didn’t want the bubbles from my regulator to block any part of my vision. I didn’t want any of my focus to be wasted even on breathing. The shark swam from right to left in no apparent rush to be anywhere. It moved so gracefully for an animal so big. It didn’t seem the least bit interested in any of the aliens in its environment banging on the metal cages. It just continued on its way, moseying past all of the other fish swimming around. After about 10 seconds, it faded away. I spent the next 45 minutes looking everywhere, hoping it was still in the area and was coming back. I wanted to see it again. I wanted it to come closer. To those who know nothing more about great whites than what is in the movies or on the news, that may sound strange. A week before that, it may have been weird even to me. But after all I had learned about these sharks in the few days before that moment, there was nothing to fear, but everything to experience. That ended up being the last shark I’d see on the trip. And, while I was hoping I could have seen a few more from under the water, I was not at all disappointed. I had seen and learned more than I had ever expected, and I now have a newfound appreciation and fascination for these animals. The amount of mystery that still surrounds great whites makes them so much more intriguing. Graf says for every new answer he gets to a question about them, he ends up with several more questions. He’s been learning about them for 13 years. I felt the same way after five days, and it makes me want to know more. And I will. Because it turns out diving with great white sharks is addictive. I will return to the waters of Isla Guadalupe, and I will continue to be fascinated by these mysterious creatures of the deep. Thank you Toni for coming out with us and sharing your experience with your readers! About Shark Diver. As a global leader in commercial shark diving and conservation initiatives Shark Diver has spent the past decade engaged for sharks around the world. Our blog highlights all aspects of both of these dynamic and shifting worlds. 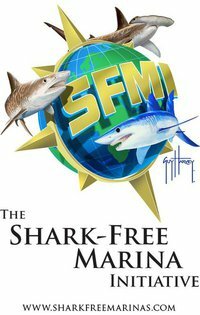 You can reach us directly at at staff@sharkdiver.com.